Not to be confused with Mangalore Airport (Victoria). Mangalore International Airport (IATA: IXE, ICAO: VOML), is an international airport serving the coastal city of Mangalore, India. It is one of the only two international airports in Karnataka, the other being Kempegowda International Airport, Bangalore. Mangalore International Airport is the second busiest airport in Karnataka. In addition to domestic destinations, flights depart daily for major cities in the Middle East. The airport, then the Bajpe Aerodrome, was opened on 25 December 1951 when then Prime Minister Jawaharlal Nehru arrived on a DC-3 Dakota aircraft. 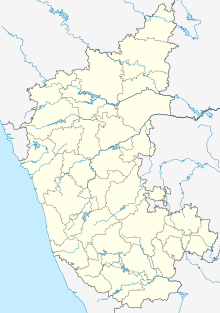 The airport is near Bajpe, around 13 km (8.1 mi) northeast of Mangalore city centre. It is on top of a hill, with two tabletop runways (09/27 and 06/24). Only two other airports in India have tabletop runways – Kozhikode and Lengpui. The very small and basic terminal was renovated in the early 2000s, adding parking controls, additional seating and additional cafés. The airport was initially used for limited domestic flights, mainly to Mumbai and Bengaluru. The operation of international flights started in 2006 with Air India Express flying to Dubai. Mangalore Airport was a customs airport for six years, from 3 October 2006 to 3 October 2012, before it was granted the status of International Airport. Until 2005, the small 1,600 m (5,249 ft) runway meant the airport could only handle Boeing 737-400 size aircraft. The longer runway now handles slightly larger aircraft. On 10 January 2006 an Airbus A319 of Kingfisher Airlines landed on the new runway. On 28 September 2012 an Airbus A310 landed for the first time at Mangalore. It was a charter flight for the Hajj pilgrims to Mecca, Saudi Arabia. In 2011–12 the airport had a revenue of ₹ 42.64 crores and an operating profit of ₹ 87.6 million, up from ₹ 8.3 million in 2006–07. In 2012–13 the airport handled a landmark 1.02 million passengers with 11,940 aircraft movements. The revenue for the same period was Rs 506.6 million, and it recorded an operating profit of Rs 164.9 million during 2012–13. In 2013–14 it handled a 1.25 million passengers with revenues of Rs 638.9 million. The first runway (09/27), 1,615 m (5,299 ft) long, was opened in 1951. It is a tabletop runway, with landing approaches presented with the extreme edges of a hillside. The edges of the hill drop into a valley from a height of about 90 m (300 ft) to 9 m (30 ft)) within a short distance of just 500 m (1,600 ft) on the east of the runway and from about 83 m (272 ft) to 25 m (82 ft) on the western side. The runway was not level, with the height varying from 90 m (300 ft) to 83 m (272 ft) from east to west. Landing on this short runway was considered difficult. Mangalore Airport was the first airport in Karnataka to have two runways and the first to have a runway made of concrete. The second runway (06/24), 2,450 m (8,038 ft) long, was opened on 10 May 2006. A Jet Airways flight from Bangalore with 95 passengers on board was the first to land on this runway. The airport has acquired land to build a taxiway parallel to the new runway to reduce aircraft turnaround time. Union minister of state for civil aviation Praful Patel announced on 15 May 2010 that a work order for extending the runway to 9,000 feet (2,740 m) would be issued soon. After the crash of Air India Express Flight 812, the minister reaffirmed on 30 May 2010 that the runway extension will take place and will take into account the spillover area required during an emergency. Safety improvements were implemented after the directorate General of Civil Aviation (DGCA) identified this as one of the 11 airports in India as unsafe. Addition of a runway end safety area, ensuring proper markings on the runway, and proper maintenance of the basic strip were among the improvements. Since 1 September 2010, the airport is charging a user development fee (UDF) of ₹150 (US$2.10) per passenger for domestic flights and ₹825 (US$11) for international flights. This fee was approved by the Civil Aviation Ministry. As of 15 May 2010[update], 26 domestic flights and 52 international flights were operated every week. The construction of a new air traffic control (ATC) tower was completed in June 2014, and commissioned for one-month trial on 19 January 2015. On 5 September 2013 the Airports Authority of India commissioned a DGCA approved advanced automated air traffic management system, replacing the older system. The system enhances flight safety by providing flight plans, direction finders, and air-ground-data link messages. This system processes radar feeds from Bangalore, Chennai, and Thiruvananthapuram and displays them at Mangalore. Since 2011 the old terminal has been used for direct flights to Madinah, Saudi Arabia, for pilgrims undertaking the Hajj. In 2011 and 2012 chartered flights landed at Mangalore International Airport and carried passengers from the old terminal building. The Mangalore Airport Director announced on 28 January 2016 that the Airports Authority of India have handed over 17,000 sqft of space at the old terminal building to the Indian Coast Guard to set up an air station for its air operations. The ICG proposed the stationing of two of its Dornier aircraft at the air station. Addition of two more aerobridges to the terminal building by December 2018. Addition of aircraft parking bays to 12 from current 8 at Integrated Terminal by 2019. Currently the apron is connected to the edge of runway 06, and aircraft movements on the apron have to be stopped when a plane lands and can only resume when it reaches the apron. A new 2,400-metre taxiway will be built parallel to the runway and join the runway ahead of the landing threshold, enabling aircraft on the apron to move towards the runway and hold, saving 10 to 15 minutes. The construction work on the parallel taxiway started on 1 November 2014 and though slated for completion in September 2016, only Phase I was completed by March 2017. The 812 crash inquiry recommendation for runway lengthening not having been implemented due to funding obstacles, its length remains 2,450 m (8,040 ft). Passenger volume projections for the year 2025 made by the AAI while constructing the new passenger terminal were already exceeded in 2012. Commencement of wide-body aircraft flights from the airport, under a public-private partnership model, depending on allotment of 1 km2 (247.1 acres) of land from the government. Air cargo complex of the airport was commissioned in the year 2013. Major commodities are fresh vegetable, chilled fish, ornamental fish, cashews, flowers and machinery parts. KSRTC (Karnataka State Road Transport Corporation) (Route No 47) offers bus service between the airport (from the bottom of the hill) and Central Railway Station. Taxis ply between the airport and the city of Mangaluru. Prepaid taxi service is available around the clock at the airport counter in the arrival hall. On 19 August 1981, Indian Airlines Flight 557, a HAL 748 VT-DXF overshot the 5,783 feet (1,763 m) old runway 27 at Mangalore-Bajpe Airport in wet weather. The aircraft came to a halt just beyond the runway edge. While there were no fatalities, the aircraft was damaged beyond repair and was written off. One of the passengers was Veerappa Moily, then Finance Minister of Karnataka. An investigation revealed numerous pilot-attributed errors: the aircraft's flaps had not been set to landing position, the aircraft had landed long on the downsloping runway, at excessive speed and with a tailwind. The aircraft involved was HAL 748 VT-DXF, with manufacturer's serial number 511; it first flew in 1967. 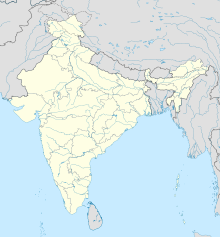 On 22 May 2010, Air India Express Flight 812, a Boeing 737-800 VT-AXV, flying on the Dubai-Mangalore route, overshot the 8,033 feet (2,448 m) runway number 06/24, killing 158 people, including 6 crew; only 8 survived. The aircraft crashed when it overshot the runway and plunged into a steep gorge at the end of the runway. The starboard wing impacted the concrete socket of the instrument landing system (ILS) localiser antenna, rendering it unusable. This resulted in delayed or cancelled flights for two weeks during the monsoon rains, which reduced visibility. It took the airport a little under a month to repair and calibrate the ILS and bring it back online. ^ "TRAFFIC STATISTICS - DOMESTIC & INTERNATIONAL PASSENGERS". Aai.aero. Archived from the original (jsp) on 10 May 2016. Retrieved 12 May 2016. ^ a b "First man who landed in Mangalore: Airport is fine". Rediff News. 26 May 2010. Retrieved 31 May 2010. ^ "The Green Green Fields of Home". Manglorean.com. 29 September 2006. Archived from the original on 14 July 2011. Retrieved 13 March 2008. ^ "Airports Authority of India". www.aai.aero. Archived from the original on 7 February 2015. Retrieved 10 October 2016. ^ "Indian skies are safe for flying: Kanu Gohain, Ex-Director General, DGCA". The Economic Times. 23 May 2010. Retrieved 23 May 2010. ^ [PIB "Archived copy". Archived from the original on 2 May 2014. Retrieved 30 November 2011. CS1 maint: Archived copy as title (link)] "The Custom airports are Mangaluru, ... "
^ Our Bureau. "Business Line : News / States: Mangalore airport gets international status". Business Line. Retrieved 30 December 2012. ^ "Kingfisher Creates History – Airbus A-319 Trial Flight Lands at Bajpe". DaijiWorld. 13 January 2006. Retrieved 3 November 2006. ^ "Mangalore airport revenue up". The Times of India. 21 August 2012. Retrieved 25 August 2012. ^ a b c "Hi-fliers on a high". The Hindu. 16 December 2006. Archived from the original on 13 September 2007. Retrieved 29 January 2008. ^ "Mangalore airport upgradation plan – Economic 'gains' vs local 'interests'". Environment Support Group. 17 July 1998. Archived from the original on 11 April 2012. Retrieved 29 January 2008. ^ "New runway at Bajpe airport meets all norms". The Hindu. 21 September 2006. Retrieved 8 February 2007. ^ "Pilot training programme at Bajpe airport from Sunday". The Hindu. Chennai, India. 4 January 2007. Retrieved 8 February 2007. ^ "New runway at IXE opened for commercial operations". The Hindu. 11 May 2006. Retrieved 10 January 2011. ^ "Land for parallel taxiway at Bajpe Airport notified". Manglorean.com. 11 June 2008. Archived from the original on 14 July 2011. Retrieved 3 July 2008. ^ "Mangalore airport runway length to be increased by 1,000 ft". The Hindu. 30 May 2010. Retrieved 25 May 2010. ^ "New terminal almost ready at Mangalore airport". Bangalore Mirror. 29 June 2007. Archived from the original on 7 July 2011. Retrieved 10 August 2009. ^ "Successful trial run of domestic flight". The Times of India. 16 December 2009. Retrieved 9 February 2010. ^ "Mangalore airport may go international soon". The Times of India. 15 May 2010. Retrieved 17 May 2010. ^ "New Airport Terminal to open tomorrow". The Times of India. 1 August 2010. Retrieved 1 August 2010. ^ "New Integrated Terminal Building of Mangalore Airport at Kenjar in Action". Daijiworld. 2 August 2010. Retrieved 4 August 2010. ^ "UDF at M'lore airport from 1 September". The Times of India. 10 August 2010. ^ "Big boost for Mangalore airport – Bangalore – DNA". Dnaindia.com. 15 May 2010. Retrieved 17 March 2017. ^ Kamila, Raviprasad (22 June 2014). "Mangalore airport takes wings with new Air Traffic Control". The Hindu. Retrieved 17 September 2014. ^ "AAI approves extension of Mangaluru airport taxiway". The Hindu. The Hindu Business Line. 15 July 2016. Retrieved 9 September 2017. ^ Shenoy, Jaideep (6 March 2017). "AAI commissions phase I of part parallel taxi track at MIA". The Times of India. Retrieved 9 September 2017. ^ Our Bureau. "Business Line : Industry & Economy / Logistics : Mangalore runway expansion: Preliminary notification soon for land acquisition". Business Line. Retrieved 30 December 2012. ^ Our Bureau (9 February 2012). "Hubli, Mangalore airports figure in AAI's development plan – Business Line". The Hindu Business Line. Retrieved 24 March 2013. ^ Tarun Shukla (20 January 2013). "Mangalore air crash: panel formed to implement preventive steps". Livemint. Retrieved 24 March 2013. ^ A. J. Vinayak (14 October 2012). "Business Line : Industry & Economy / Logistics : Mangalore airport enters the big boys' league". Business Line. Retrieved 30 December 2012. ^ "More international routes from Mangalore airport in 2013". The Times of India. Retrieved 30 December 2012. ^ "IndiGo network map for the week commencing 04-Dec-2017". CAPA Centre for Aviation. Retrieved 7 December 2017. ^ "Mangalore Airport records growth in passenger traffic". ^ "Mangaluru airport takes giant steps with 22 % growth in passenger traffic". ^ "2015-16 Statistics" (PDF). Airports Authority of India. Archived from the original (PDF) on 27 May 2016. ^ "2014-15 Statistics" (PDF). Airports Authority of India. Archived from the original (PDF) on 18 May 2015. ^ "2016-17 Statistics" (PDF). Airports Authority of India. Archived from the original (PDF) on 28 April 2017. ^ a b "Airports Authority of India". www.aai.aero. Retrieved 29 October 2016. ^ a b "Accident description". Aviation Safety Network. Retrieved 24 June 2010. ^ "Moily's close shave in Mangalore 30 years ago". The Hindu. 22 May 2010. Retrieved 24 June 2010. ^ "150 killed as Air India plane crashes in Mangalore". Hindustan Times. 22 May 2010. Archived from the original on 25 May 2010. Retrieved 22 May 2010. ^ a b Pinto, Stanley G (9 June 2010). "Airline companies bleed as flights get cancelled". The Times of India. Retrieved 17 June 2010. ^ "Instrument Landing System Begins Operation at Mangalore Airport Again". DaijiWorld.com. 17 June 2010. Retrieved 17 June 2010.